FINDING an enjoyable activity for both parent and child can be a time-consuming task. Movies, arcades and the beach seem to be the typical choice of fun, while painting, cooking and sport also make the list. But what happens once all the options have been exhausted and boredom kicks in during the year? 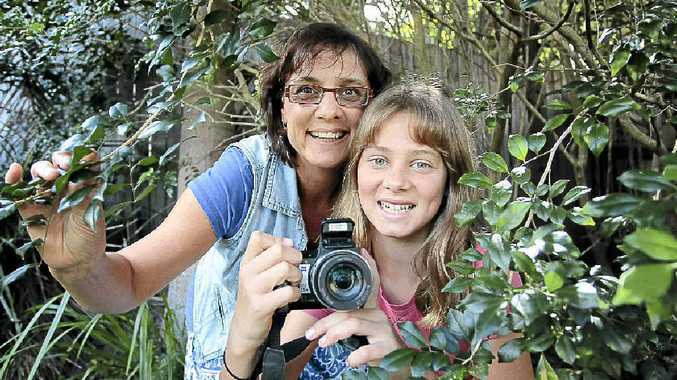 Sunshine Coast mum and Kids Welcome founder Sarah Pye said parents needed to "think outside the square" when it came to activities for their children. She said many adult activities, such as walking, sightseeing and eating at restaurants were also entertaining for children. "I think many would be surprised with what children enjoy and sometimes being an adult like mum and dad is quite enjoyable for them," Ms Pye said. "Most children enjoy feeling important and doing something that makes their parents happy because the enjoyment flows on to them." This thinking outside the square theory comes naturally to the well-travelled mum. She and her 12-year-old daughter Amber have spent the past 10 years together, researching and developing an online program to helps parents find "kid-friendly" activities around Australia. "When I became a mum, I found it hard to find things not only suitable for my daughter, but also things I would enjoy," she said. "Many restaurants, hotels and activities that say they are 'kid- friendly' turned out not to be, and ones that did not display the kid- friendly signs actually were. "It was frustrating as a parent but also my daughter was frustrated because she was bored with the choices I was making." Her website, Kidswelcome.com, lists more than 2000 things to do around Australia - most of which Ms Pye has experienced herself. It includes restaurants, accommodation, theme parks, walks and sightseeing. "Things as little as if the restaurant does or does not have high chairs or change tables in the toilets are important to note," she said. "I have limited the list to places where people will have a good experience rather than listed the negative places, because I figured people want to know where to go, not where not to go." As school holidays wrapped up last week, Ms Pye recommended parents think of activities seen on television or online. Examples include paper mache, science projects with bicarbonate soda and making home videos. "Some of these things can take a couple of days to complete or even a week," she said. "The kids get up everyday wanted to get stuck in." Ms Pye will release her website in an iPhone app next week. The app will include activities for three age groups.